The Committee of Sponsoring Organizations of the Treadway Commission (COSO) today unveiled its 2017 enterprise risk management framework, now titled Enterprise Risk Management–Integrating with Strategy and Performance. 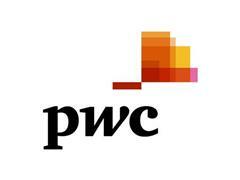 PwC US was once again engaged to work with COSO. This project garnered global interest and feedback, culminating in a Framework that addresses the need for an improved approach for how organisations manage risk to help create, preserve, and realise value. The unpredictable global economic landscape that is impacted by changing customer behaviors, evolutions in technology, and greater calls for transparency have shaped the new conversation that organisations need to have about risk. In light of this, the Framework incorporates current and evolving concepts impacting enterprise risk management culture, capabilities, and practices. “The Framework highlights the importance of integrating enterprise risk management into day-to-day activities, and moving away from viewing it simply as a separate function or department,” notes Frank Martens, PwC Global Risk Framework and Methodology Leader and Project Lead Director. “Adopting the COSO ERM Framework is an opportunity for organisations, regardless of industry, to be innovative when it comes to using risk as an advantage to drive distinctive strategies and enhanced performance. The Framework offers new insight into how boards and management can derive greater value from enterprise risk management,” adds Dennis Chesley, PwC Global and APA Risk and Regulatory Leader and Project Lead Partner. For more information about the COSO ERM Framework, visit: http://www.pwc.com/coso-erm.